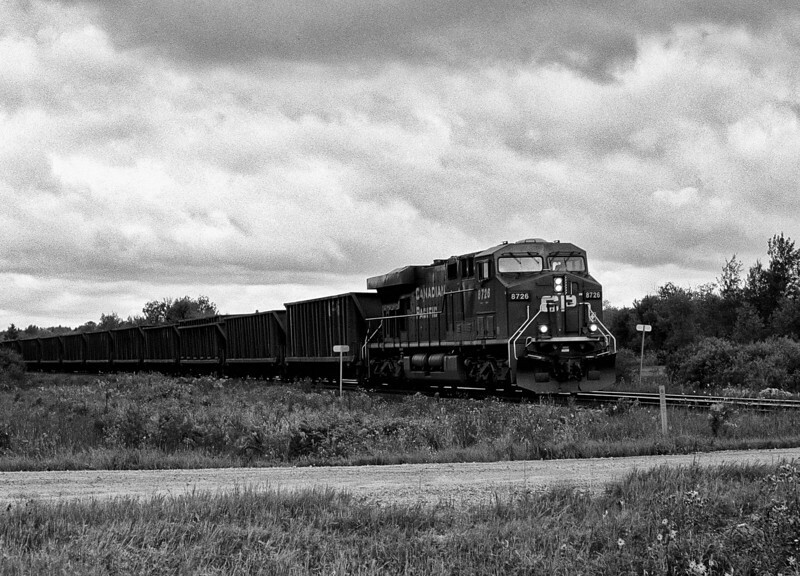 CP 8726 heading east through Barclay Ontario with a load of coal. Pentax K1000 SE loaded with T-Max 100 developed in Kodak D76 for 6.45 minutes at 22C. I had a Pentax-M 50mm F2 lens on the camera.